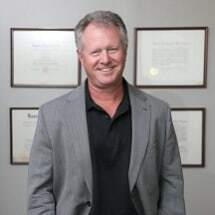 Admitted to practice law in Georgia in 1986, Steven I. Goldman has been serving clients in Atlanta, Georgia ever since. Mr. Goldman attended Emory University for both undergrad and law school, where he graduated in the top third of his class. In his early days of practicing law, Mr. Goldman worked in labor law defense for large companies. After a short period of time, however, he realized it was much more rewarding to represent and help individuals fight against the big companies. With a desire to represent the people, Mr. Goldman started The Goldman Firm in 1989. For over 30 years, The Goldman Firm’s team of legal professionals has continued to protect people who have been injured as a result of someone else’s negligence. Mr. Goldman enjoys jury trials and going to court, and has gained a reputation for being willing and ready to go to trial to ensure clients get the compensation they deserve. Mr. Goldman is an active Super Champion Member of The Georgia Trial Lawyers Association and is admitted to the Eleventh Circuit Court of Appeals, the Georgia Court of Appeals, and the Supreme Court of Georgia. Over the years he has judged moot court competitions and provided pro bono work for dog rescue organizations. In his time outside of the office and courtroom, Mr. Goldman is an avid motorcyclist and boater. He lives in Atlanta with his wife, Sandy, and their two teenage children.